Meghalaya is an embodiment of eternal bliss and tranquility wrapped in utter beauty. The “Abode of Clouds” acquires its charm from the picturesque locales, bountiful nature, fresh and sedating surroundings and yes the adventure sports. The exposition of exuberant emerald hills and glens often bathing in frequent drizzles will resuscitate your spirits. 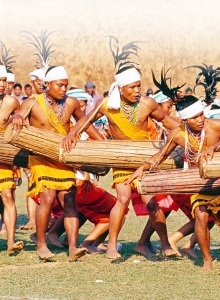 Trip to Meghalaya India promises a rendezvous with the exclusive flora and fauna, the amicable tribal folks and their cultural heritage. Meghalaya tourism includes all tourist attractions of adventure, for sightseeing, for resurrection or simply to relax and enjoy.